This was a very unique, and fun project. The client had a new, 2 story deck installed on the back of the lakehouse. They wanted to have lighting installed so they could walk from the deck to the lake. By the use of downlighting and unique bollard fixtures, we were able to achieve the light that was needed. They also loved the mature trees that surrounded the property. The design intent was to provide a dramatic effect by using accent lighting to highlight numerous trees that would be viewed from the deck. 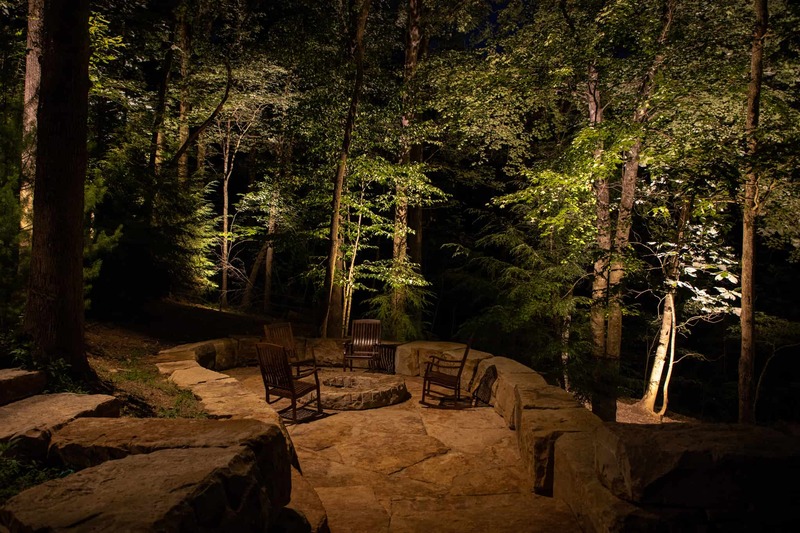 The firepit was a great space so we created soft downlighting to highlight the space and accent lighting to show some depth and highlight the trees.